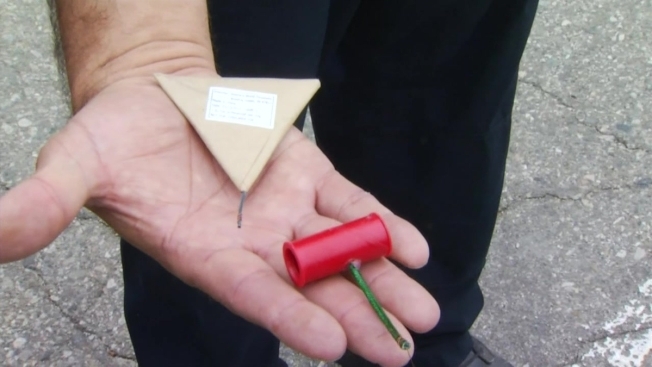 The San Jose Police Department and city leaders are cracking down on illegal fireworks, including raising the prices of fines and beefing up security during annual festivities. The increase in fines comes by way of the San Jose City Council, which in April approved a measure authorizing larger penalties for the "sale, use, possession, or storage" of fireworks. The council has also expanded the number of officials allowed to cite offenders to include park rangers and some fire officials, according to the Mercury News. According to the new measure, fireworks-related violations will cost anywhere from $500 to $1,000, depending on the number of offenses a person has already racked up. Jail time is also a possibility. Prior to the new measure, a first-time violation could run as low as $350 -- the equivalent to a speeding ticket in some areas. For its part, the police department has vowed to step up security at large fireworks gatherings and will also be fielding tips from a hotline. Anyone who wishes to report a fireworks violation can call 408-277-8900.